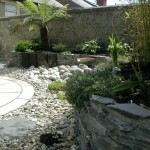 More and more I am asked to design low maintenance gardens. 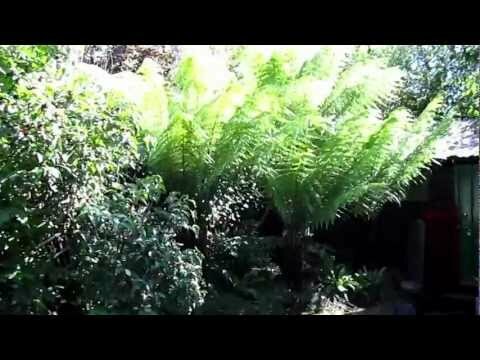 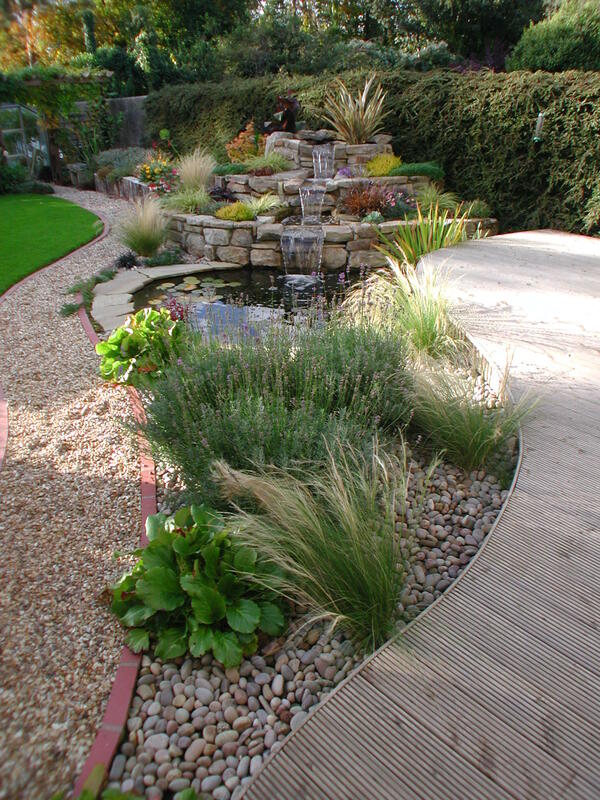 What with all the increased taxes and charges introduced by the government over the last few years people are working every hour available to make ends meet, is it any wonder why low maintenance gardens are so popular. 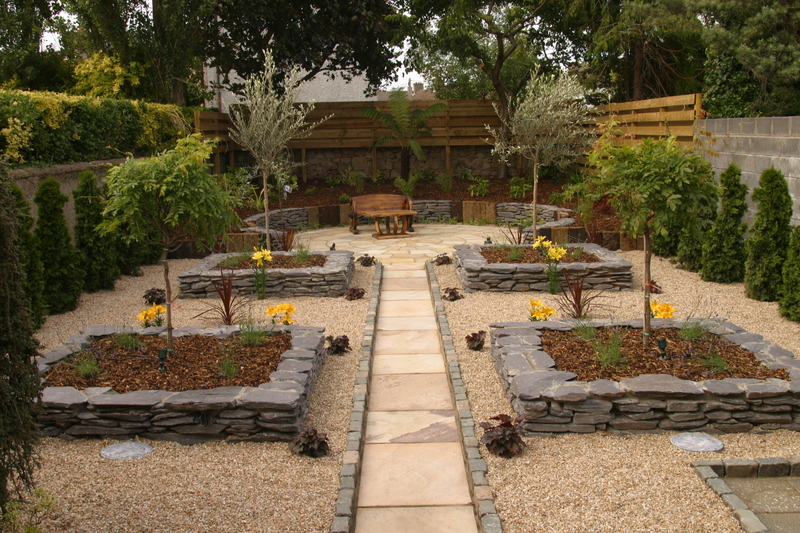 However, a low maintenance garden as the name suggests means a limited amount work, there unfortunately is no such thing as a maintenance free garden. 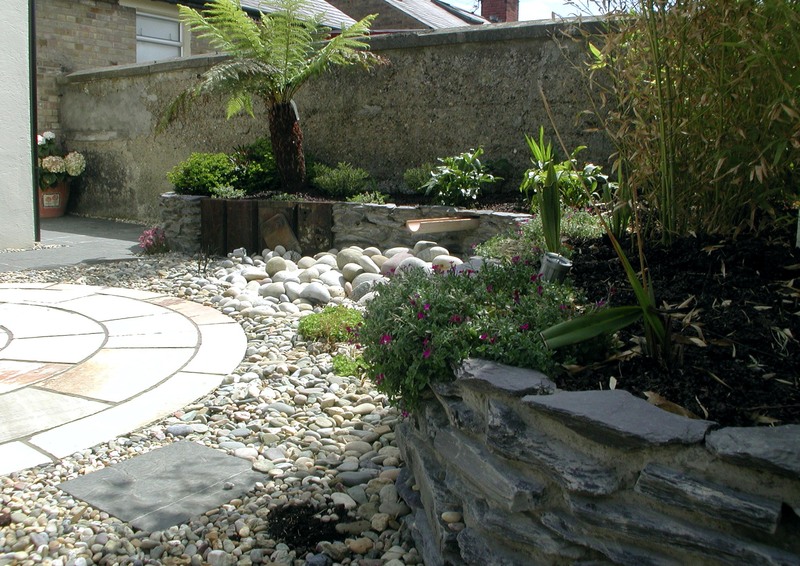 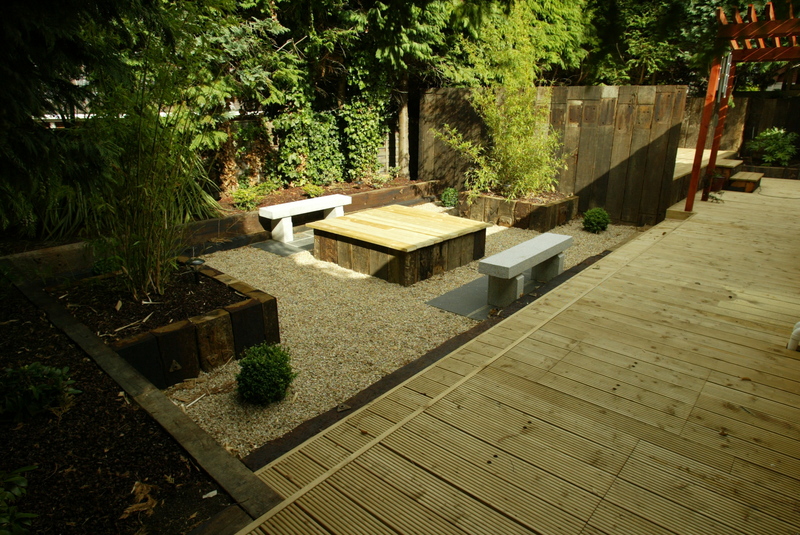 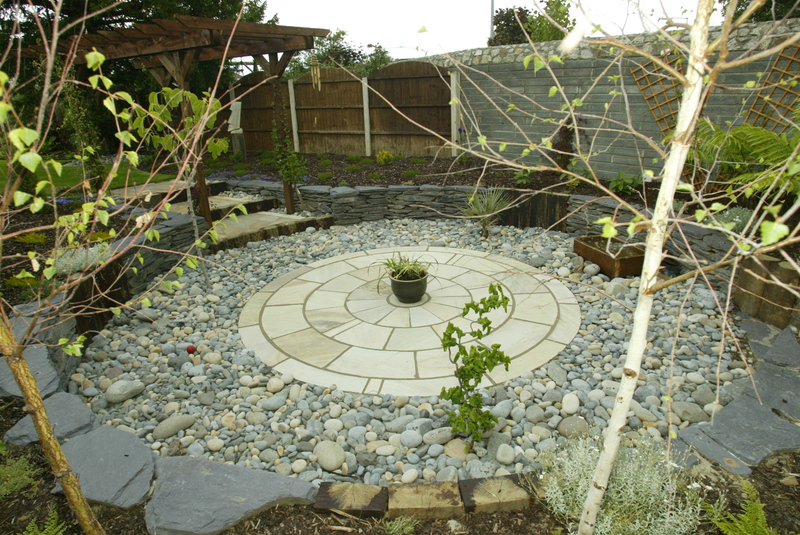 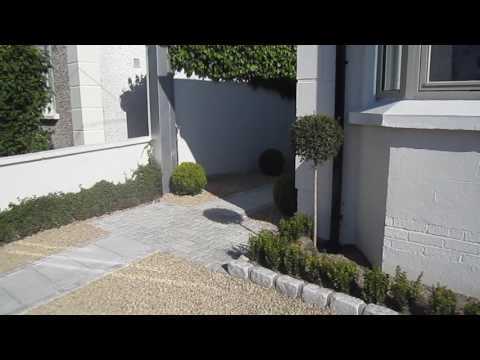 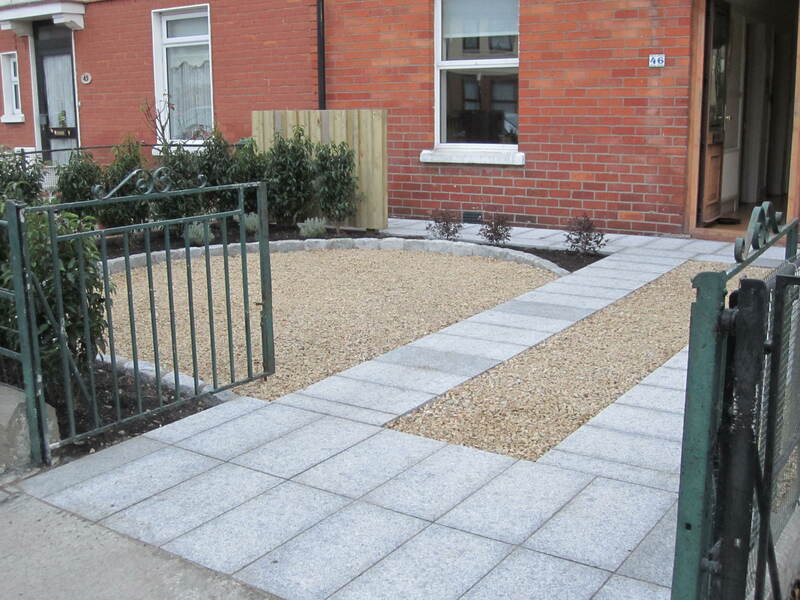 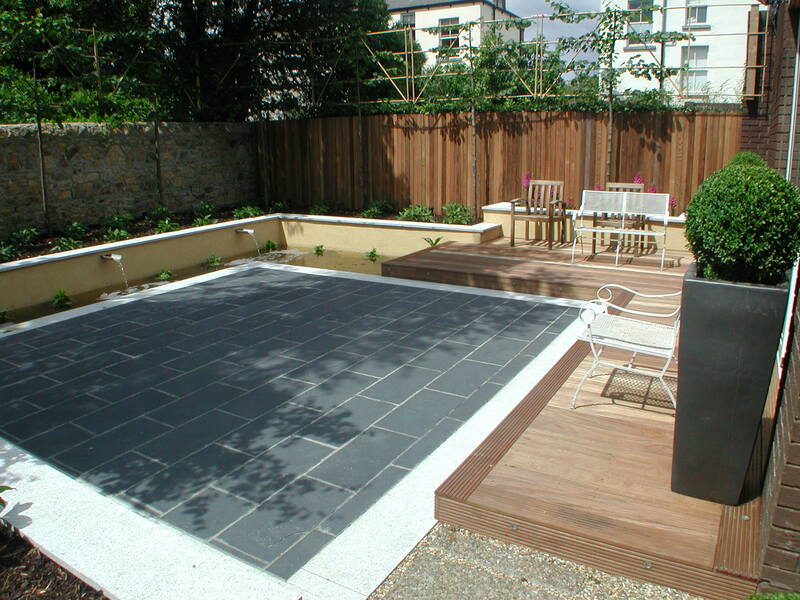 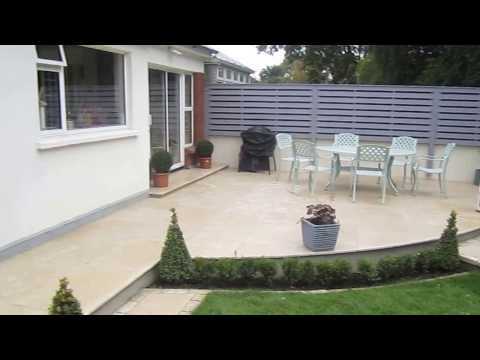 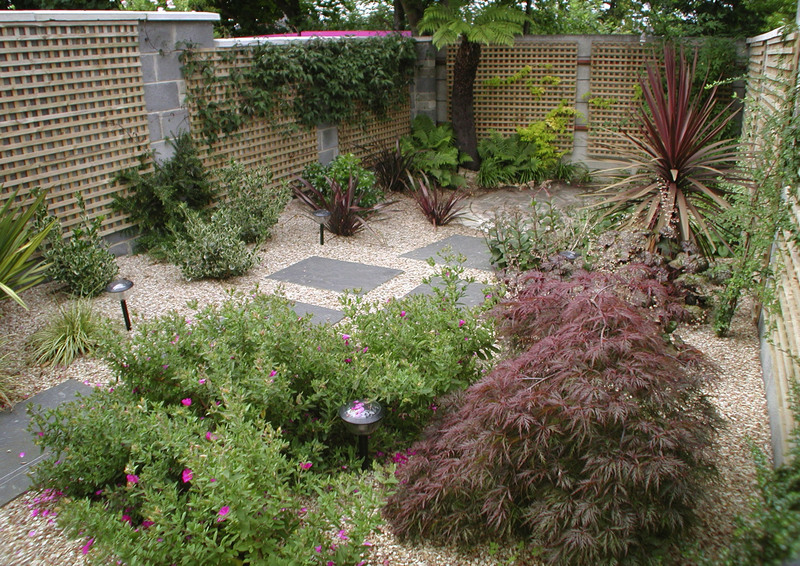 We specialise in the construction of low maintenance gardens and have built many over the years for clients across the Dublin and Wicklow areas. 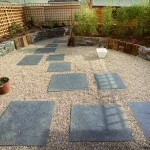 Over the next few paragraphs I explain the methods, materials and practices we use to create low maintenance gardens. 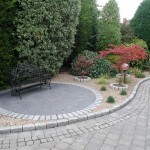 If you are based in the Dublin or Wicklow areas and are looking to transform your garden, why not get an obligation free quote. 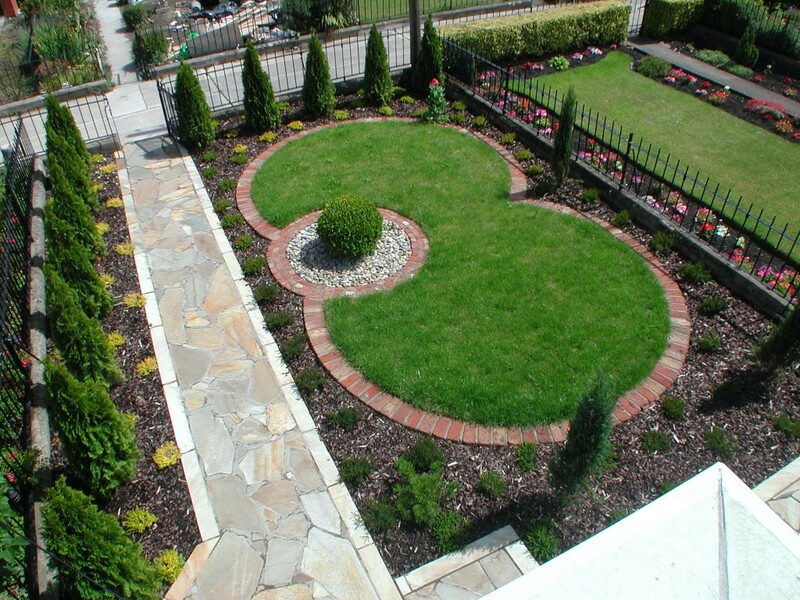 Lawn or no lawn: The lawn is the big offender when it comes to maintaining a garden. 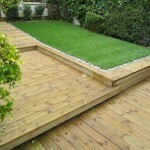 It requires regular mowing, spiking, feeding, weeding, scarifying etc. 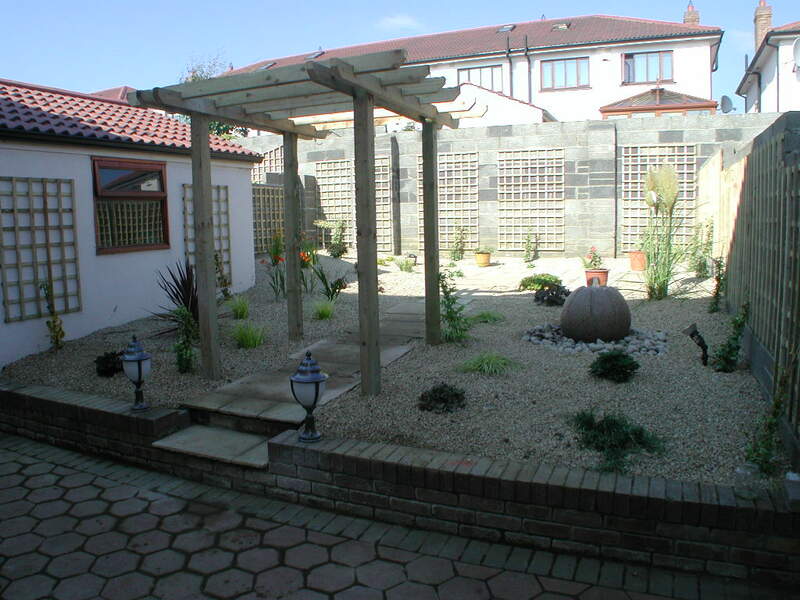 The first thing we consider is to get rid or reduce the lawn. 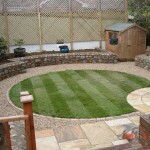 If the lawn is to stay use mowing edges to reduce the maintenance further. 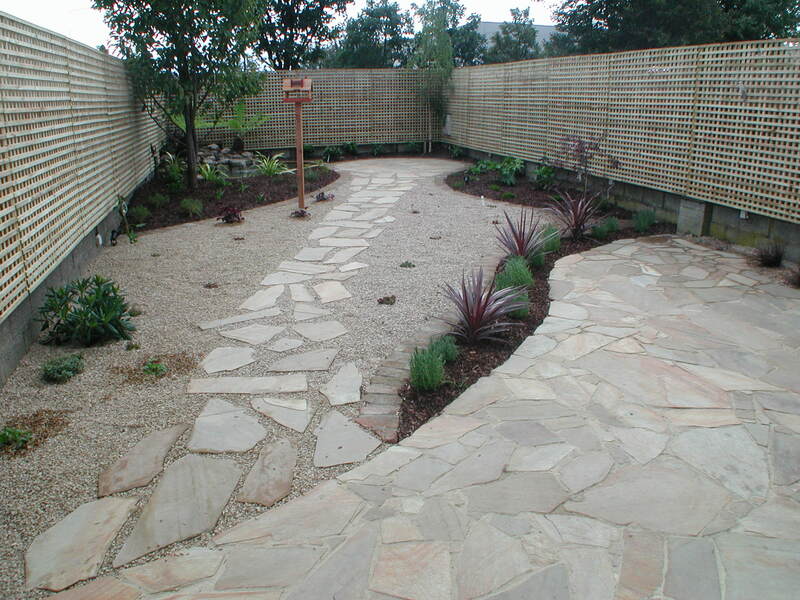 Weed membrane/mulching: Second to removing grass this is a brilliant way of reducing maintenance in planted borders. 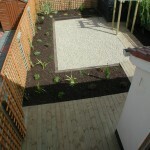 First lay a good quality geo-textile around your plants and secure with bull wire pins. 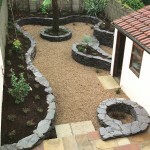 Then cover with 50-75mm layer of mulch creating a second barrier and reducing weeding by up to 90%. 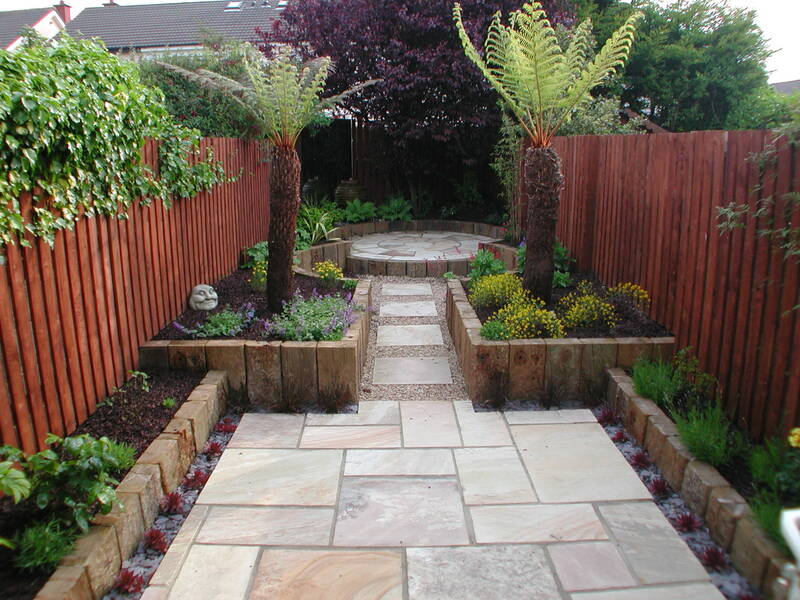 Mulch alone can be used but you must achieve a depth of at least 75mm over all areas. 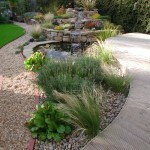 Edges: The edges are a very important component to low maintenance garden design. 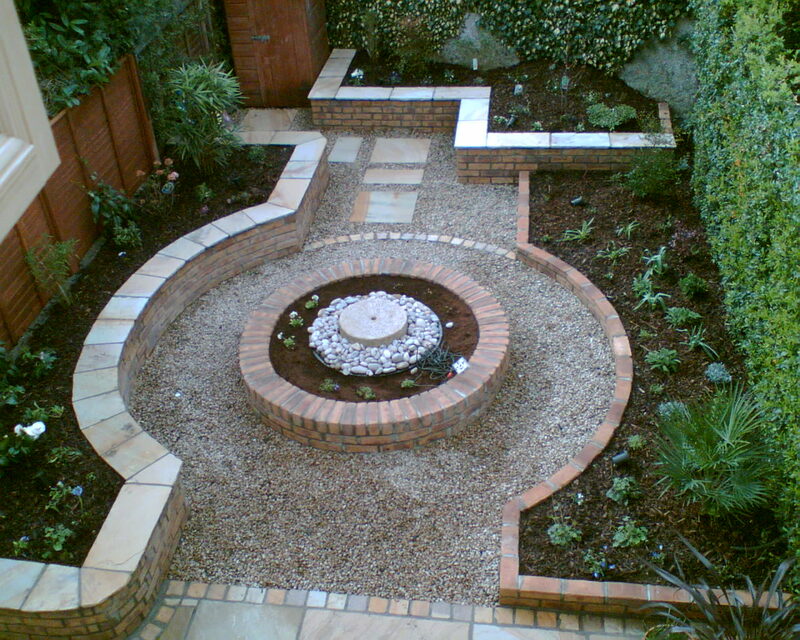 Like patios and pathways they form the skeleton of the garden. 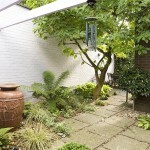 They help define a space and give definition. 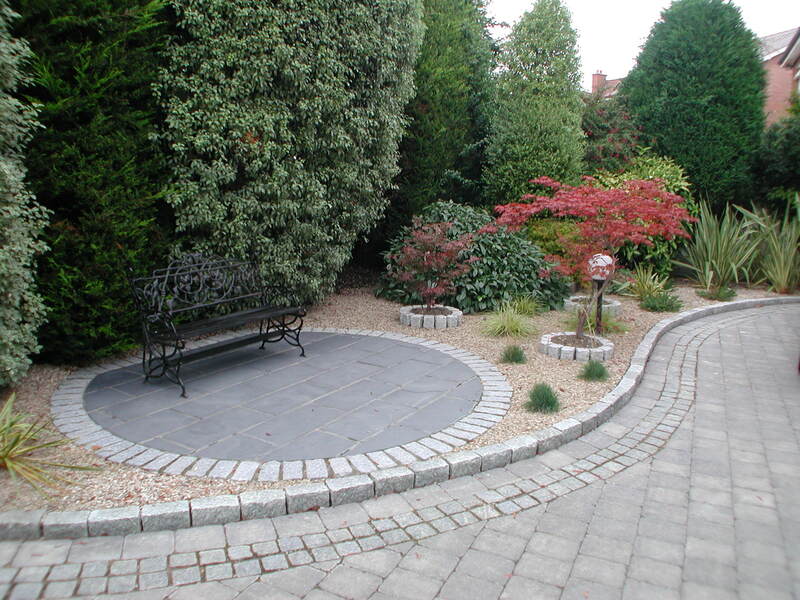 It is the border between grass, gravel, paving etc., that create a bed and offer contrast. 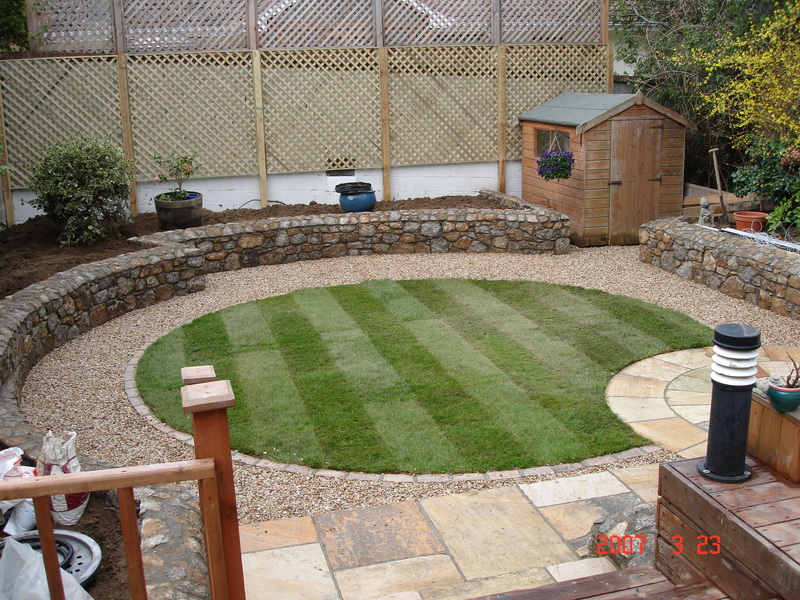 Mowing edges in the lawn help reduce maintenance by allowing easy cutting of grass and holding a strong edge. 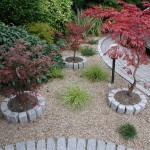 Planting: Low maintenance will be achieved by correct plant selection. 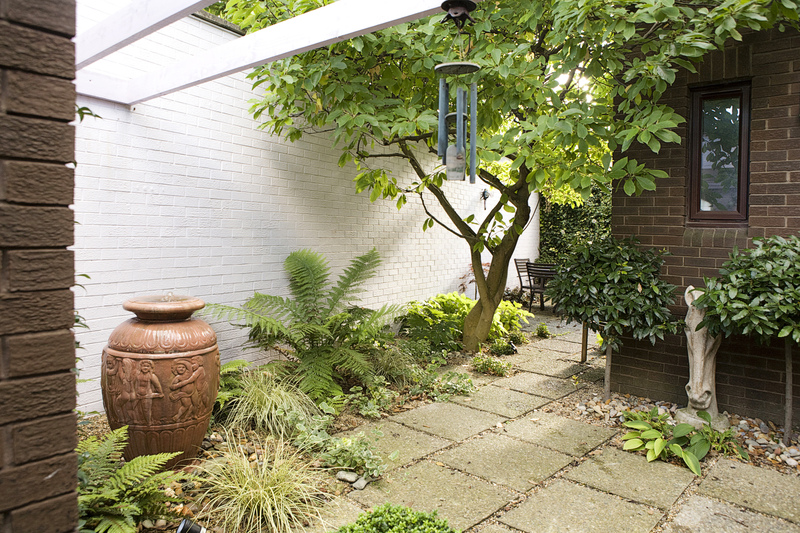 To thrive plants like certain conditions and if positioned correctly will need less care. 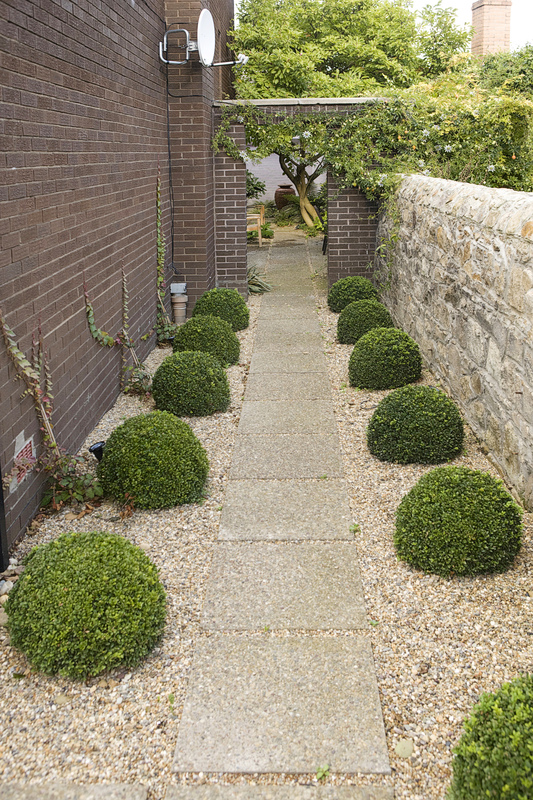 Shrubs should be given precedence over needy perennials. 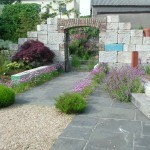 Native plants should be considered where possible. 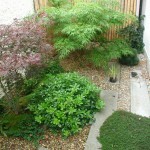 Ground cover planting will eventually shade out weeds and reduce maintenance. 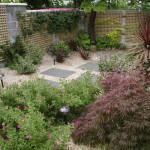 Invest in a professional planting plan and low maintenance will be achieved. 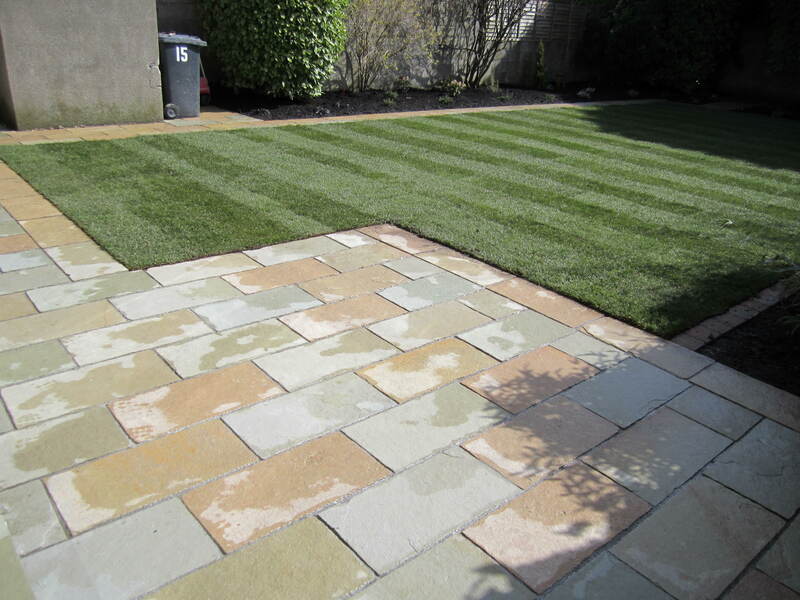 Grouting: There is nothing more unsightly than weeds appearing between paving slabs, cobbles etc. 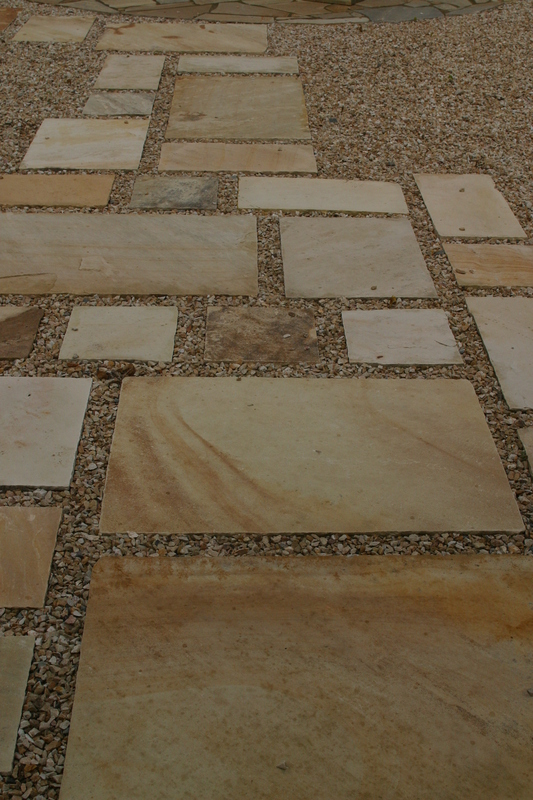 This can all be avoided by correct grouting between slabs. 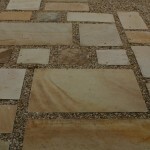 We use a strong concrete grout on all our jobs and guarantee you will never encounter this problem. 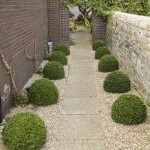 Fencing: Hedges especially the fast growing varieties need a lot of attention in a garden. 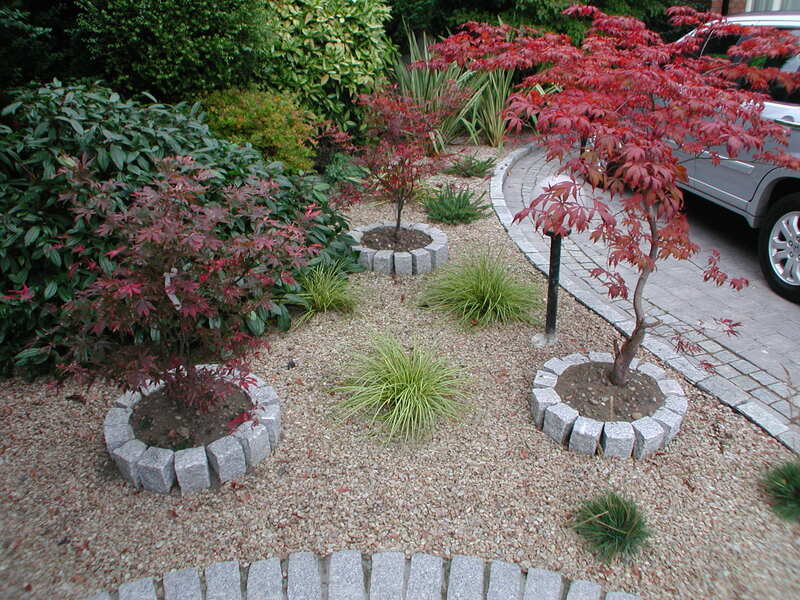 Some varieties require 3-4 cuts a year and removal of cuttings. 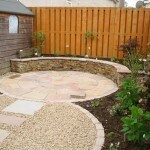 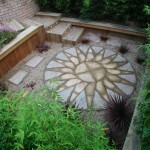 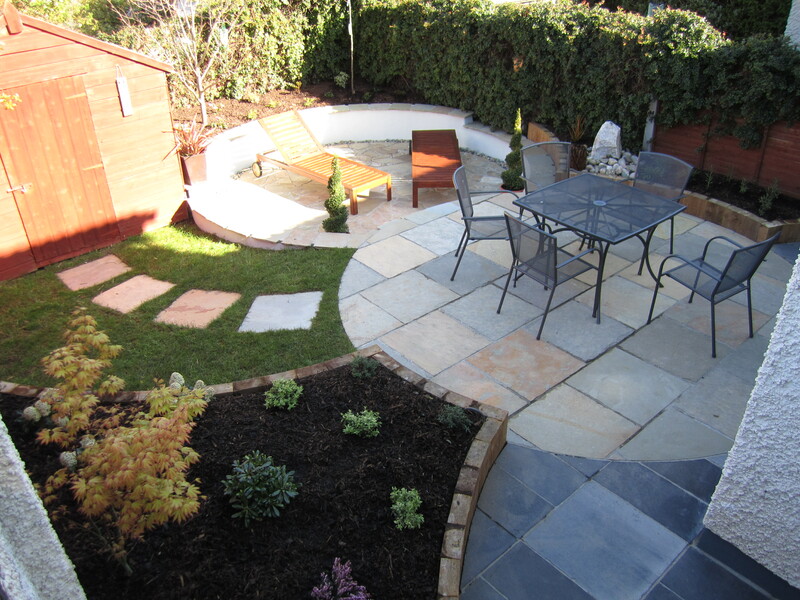 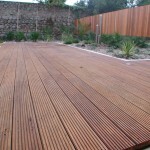 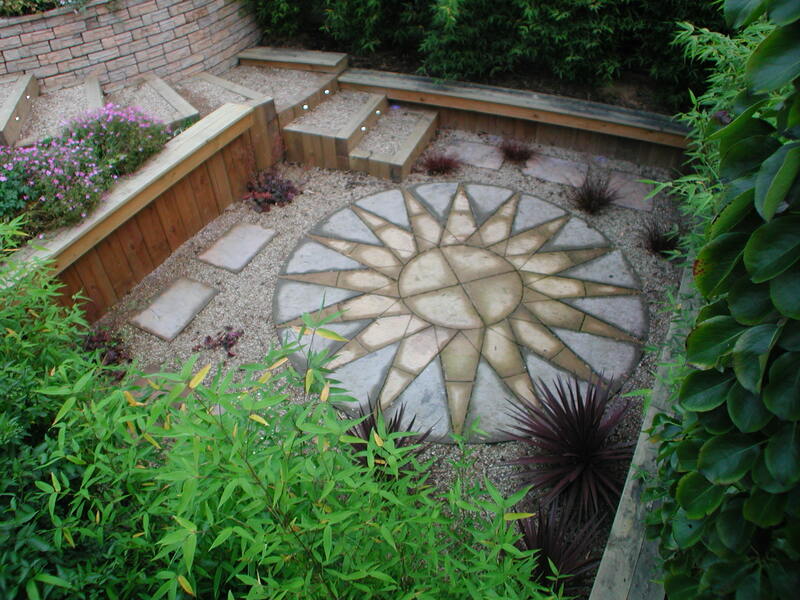 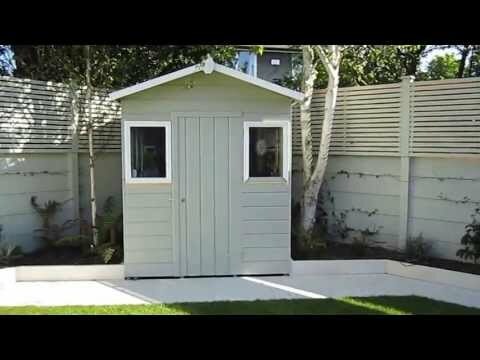 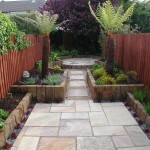 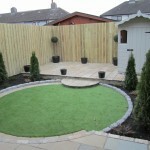 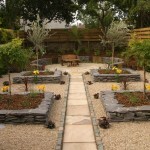 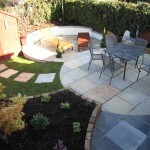 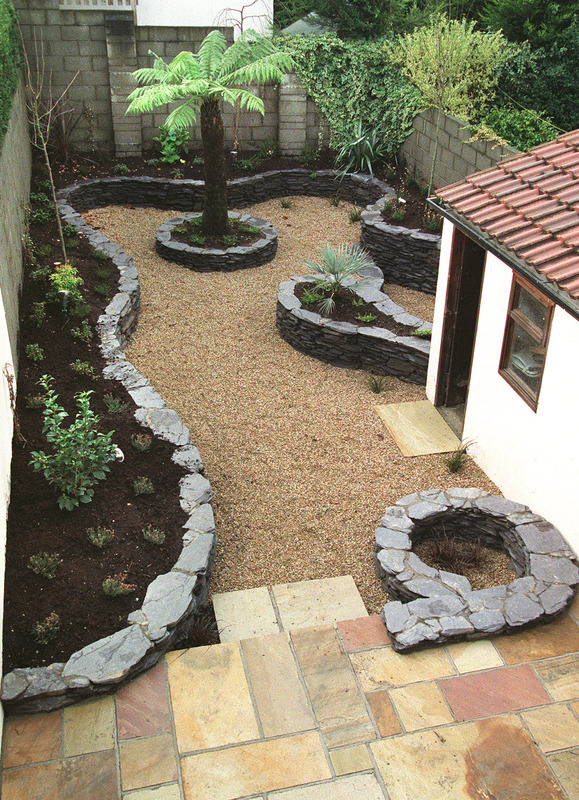 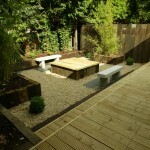 By putting thought into the surrounds of your garden maintenance can be reduced. 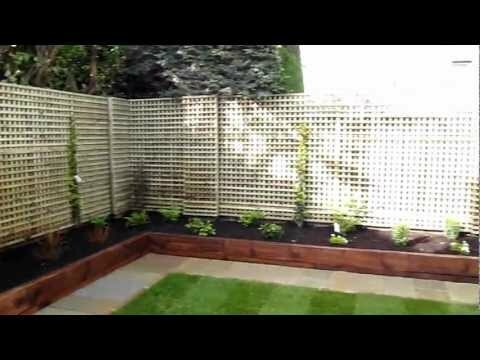 Consider wall or fence surrounds. 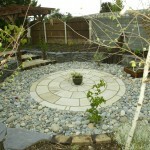 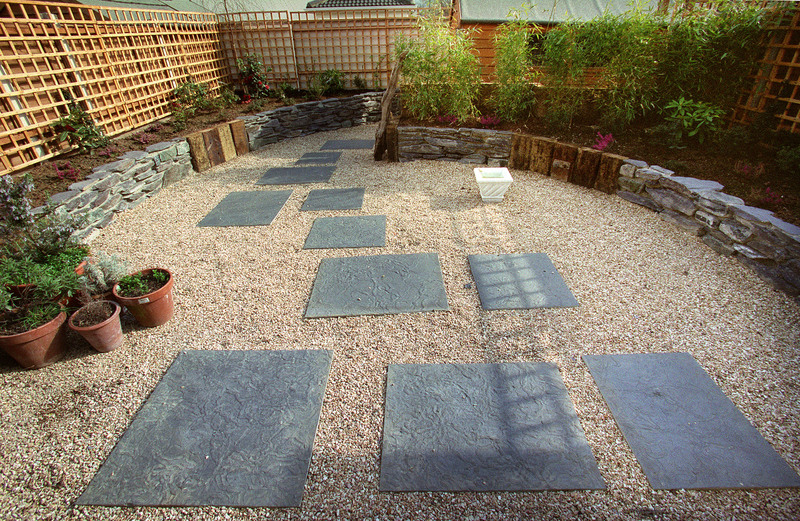 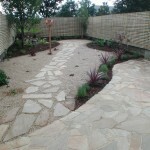 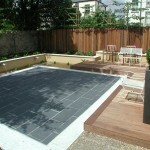 Paving/gravel: The incorporation of gravel and paving materials are great for filling space in a low maintenance garden. 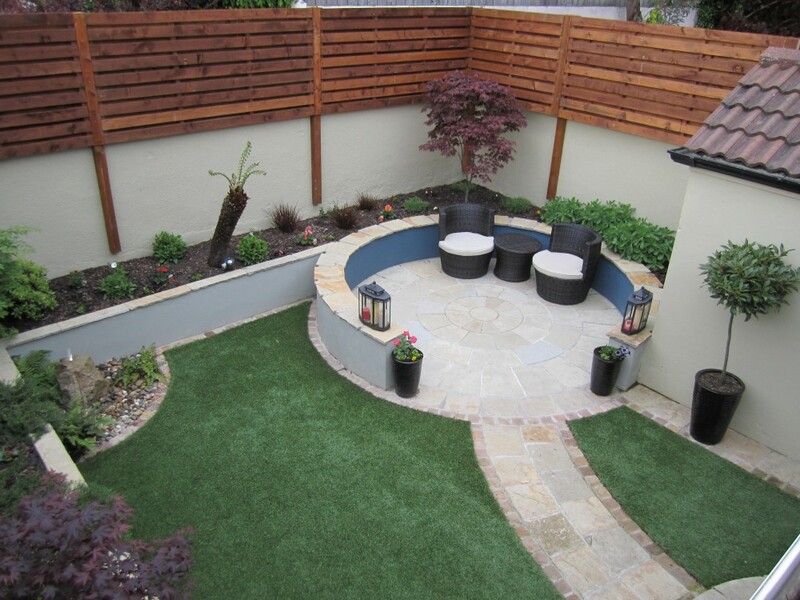 Contrasts should be should be considered along with large beds to soften and avoid an industrial look which can often happen with over use of these materials. 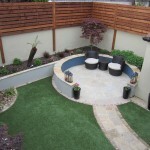 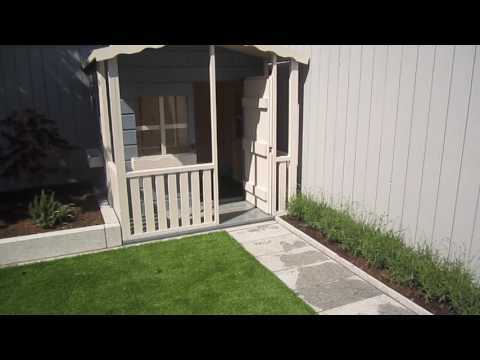 Synthetic grass: When planning a low maintenance garden synthetic grass must be considered. 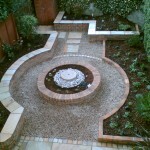 Due to advances in this technology there are great products on the market. 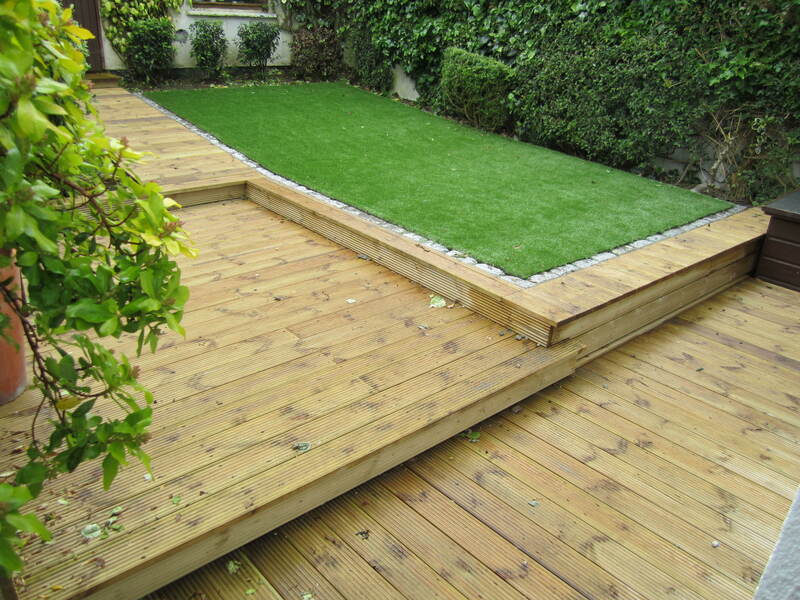 We have used synthetic grass on many of our low maintenance gardens and it still surprises me how natural it looks. 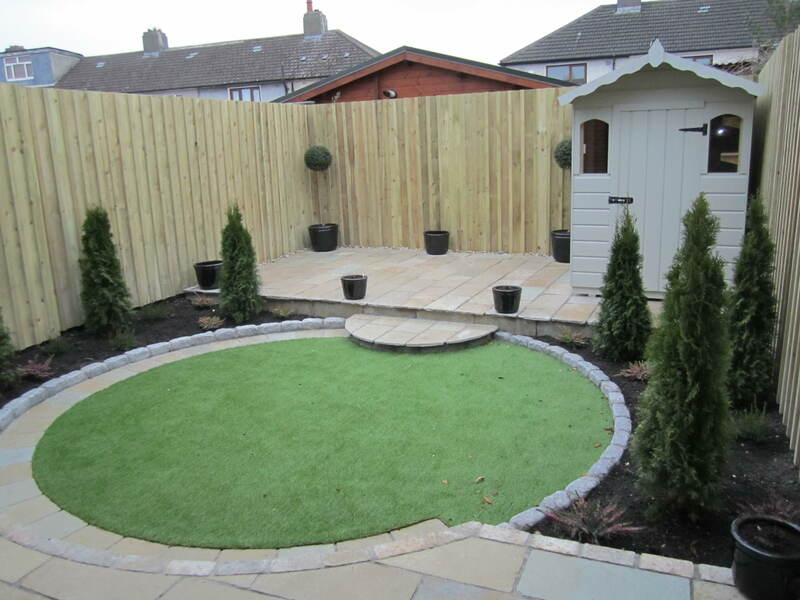 The synthetic grass lawns dry out fast after rain, don’t muck up and are ideal for kids. 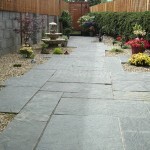 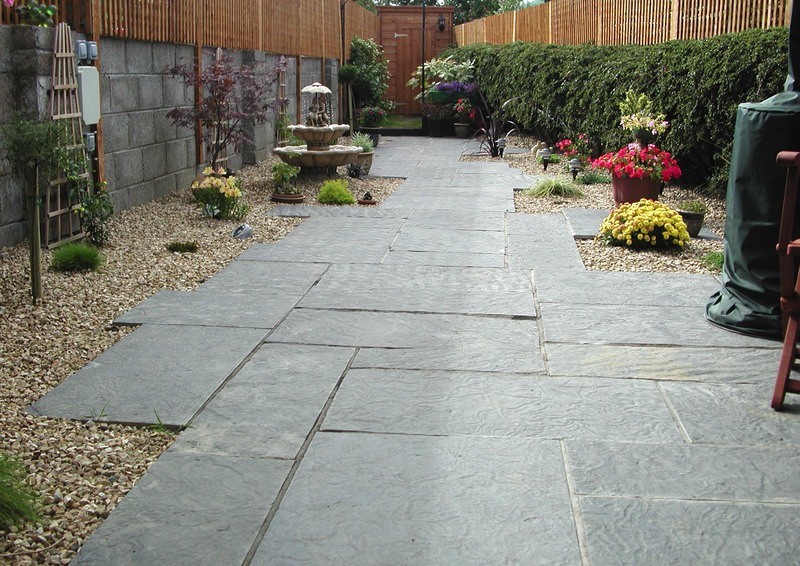 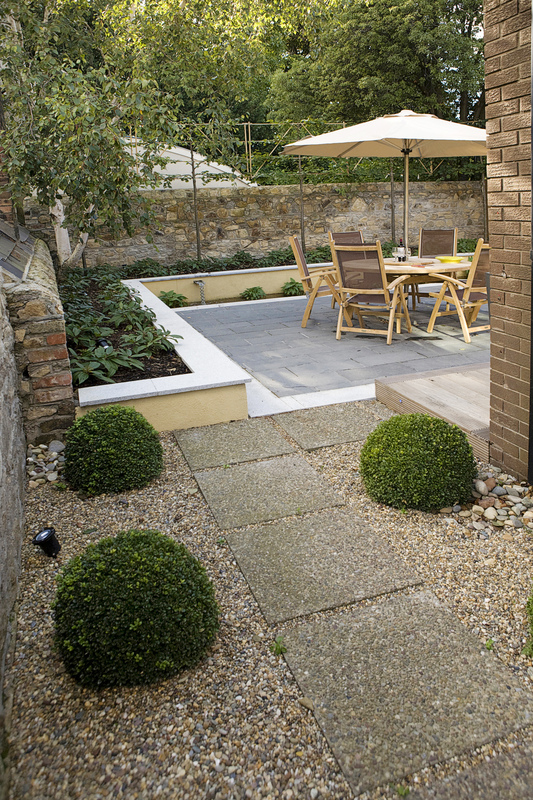 Stone/Decking: When choosing paving go for a dense stone like granite, limestone or quartzite. 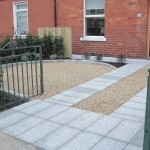 This will reduce maintenance by removing the need to seal and protect the stone. 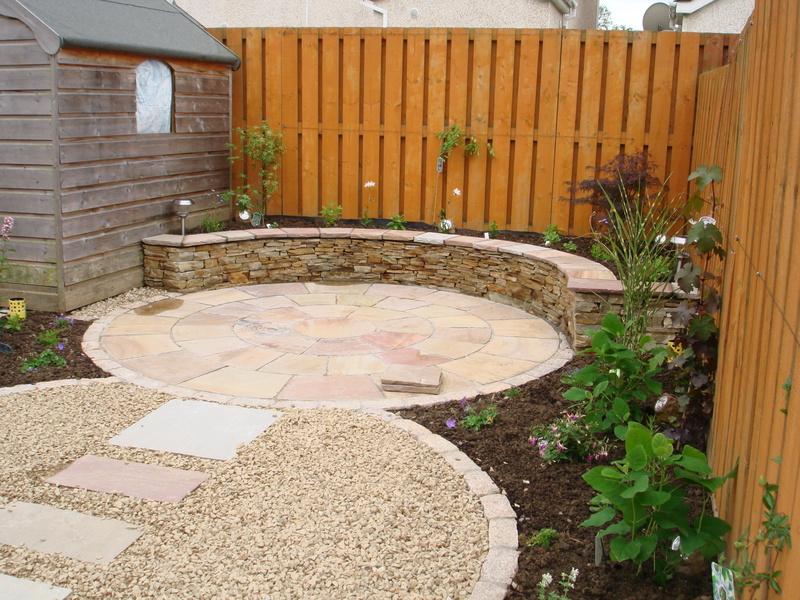 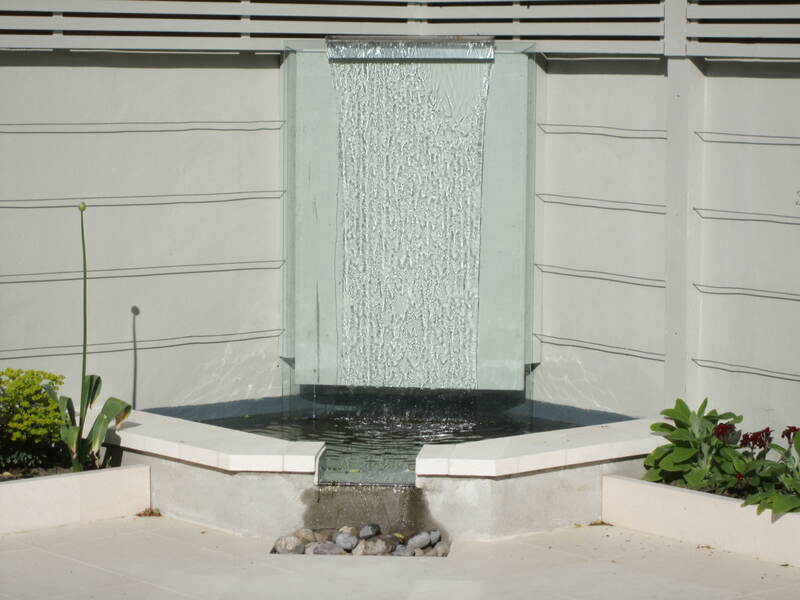 Porous stones like Travatine and Sandstone will stain up and become unsightly without sealing. 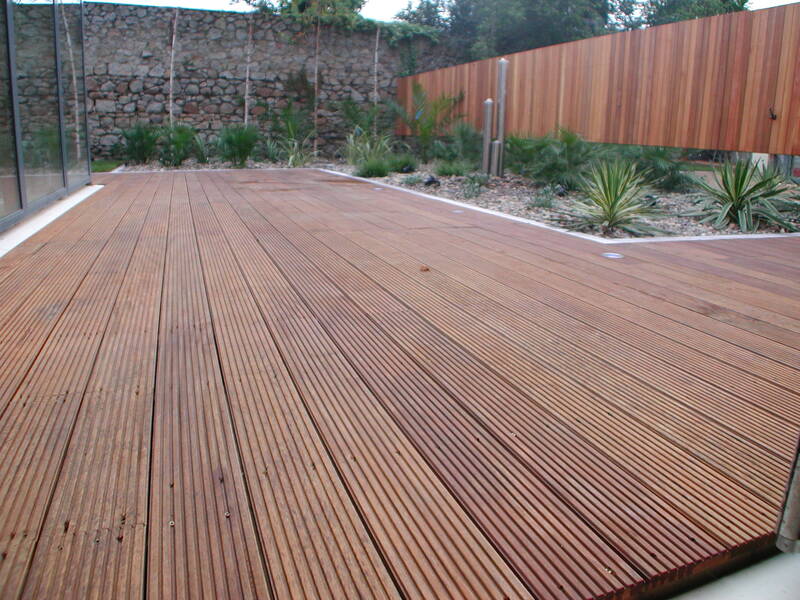 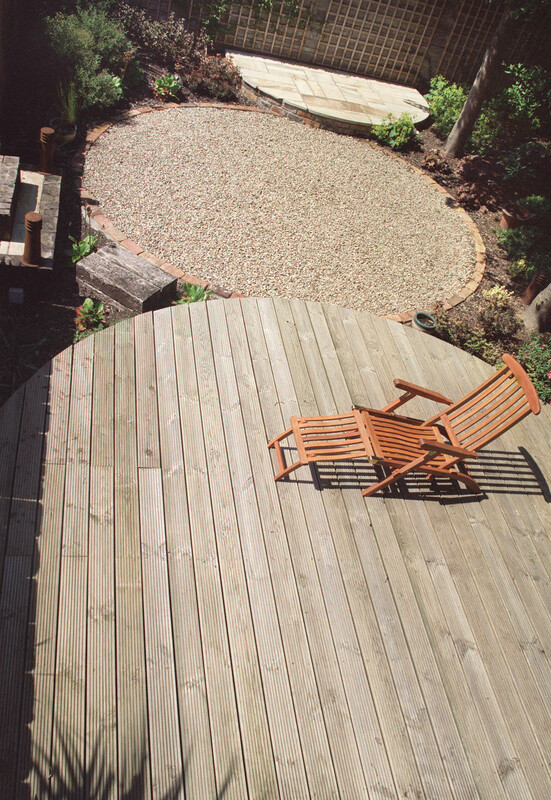 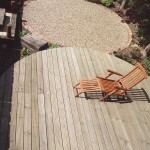 The same goes for decking, choose a dense impervious hardwood or composite over a porous softwood. 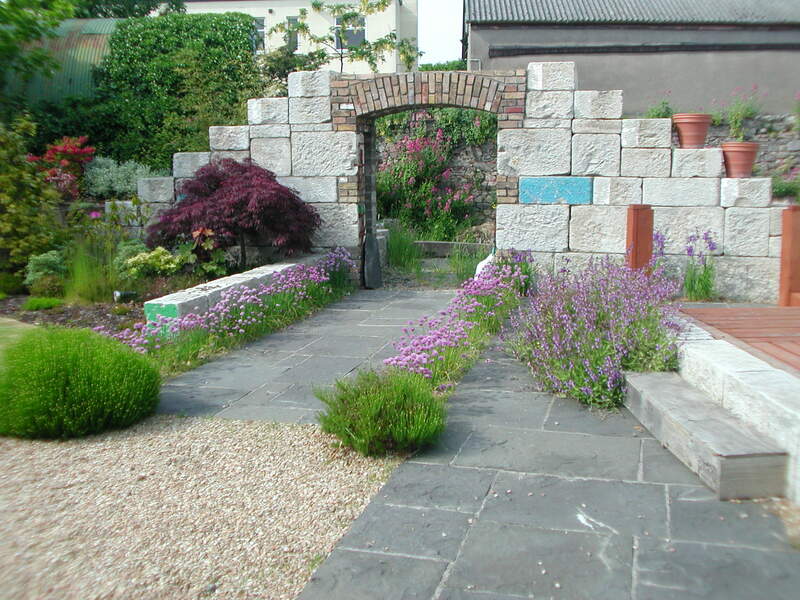 Spraying over hoeing: Invest in a sprayer and spray unwanted weeds with a translocated herbicide like Roundup. 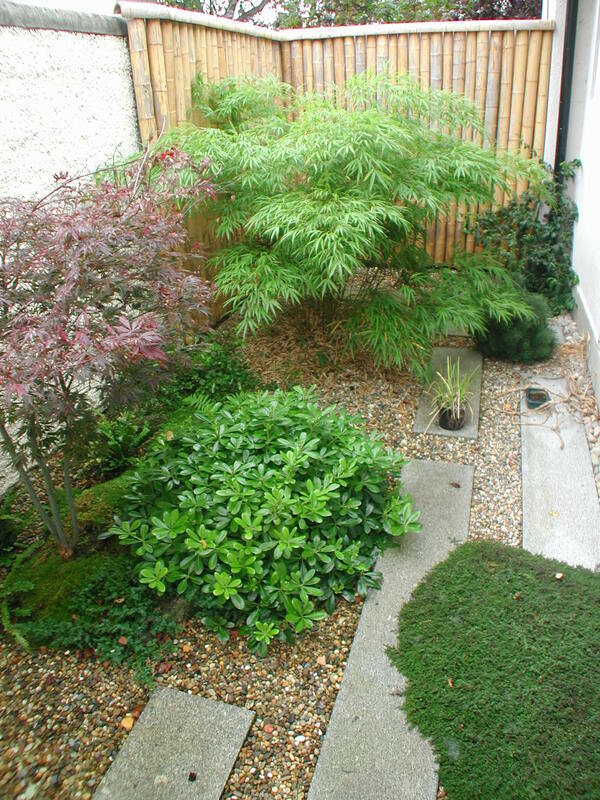 The translocated herbicide once applied travels into the weeds roots and kills the plant outright. 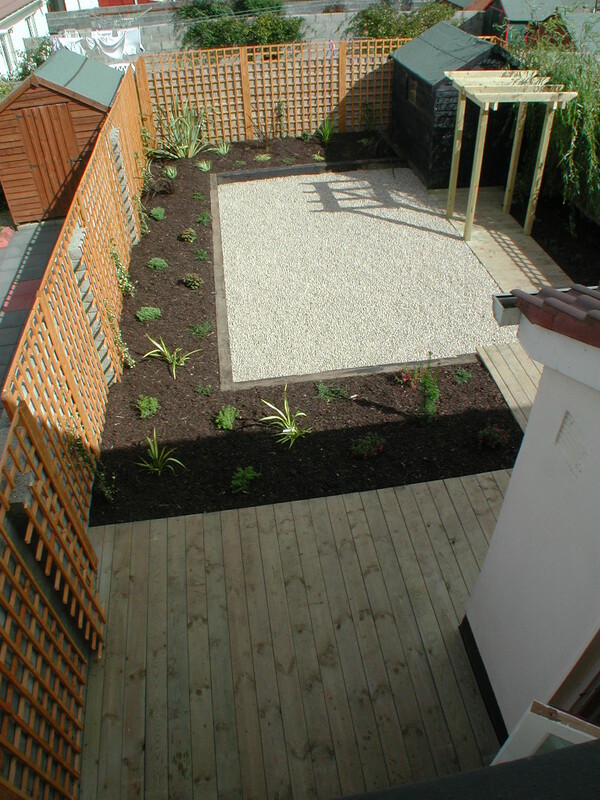 Hoeing and hand weeding leaves the roots alive allowing the weed to re-appear and negate all your hard work. 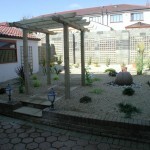 The following pictures shows examples of low maintenance gardens created by us.